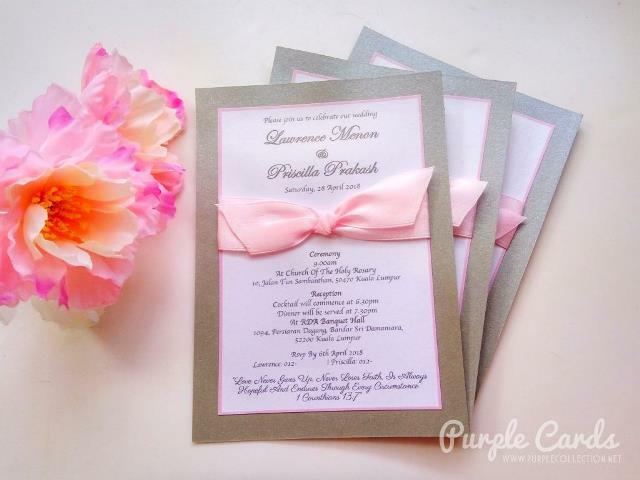 This is a custom designed wedding invitation cards for Priscilla. Theme colours in grey, baby pink and white printed on metallic card 250g with a grey metallic card backing layer, finishing off with a one inch baby pink satin ribbon. How sweet and lovely is this!